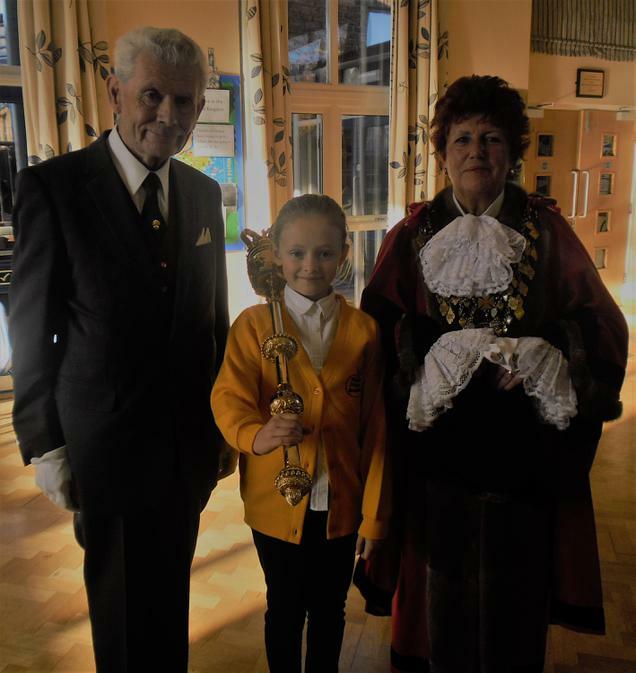 On Monday the 13th November we had a visit from the Mayor of Louth (Mrs Watson) and her Sergeant at Arms. 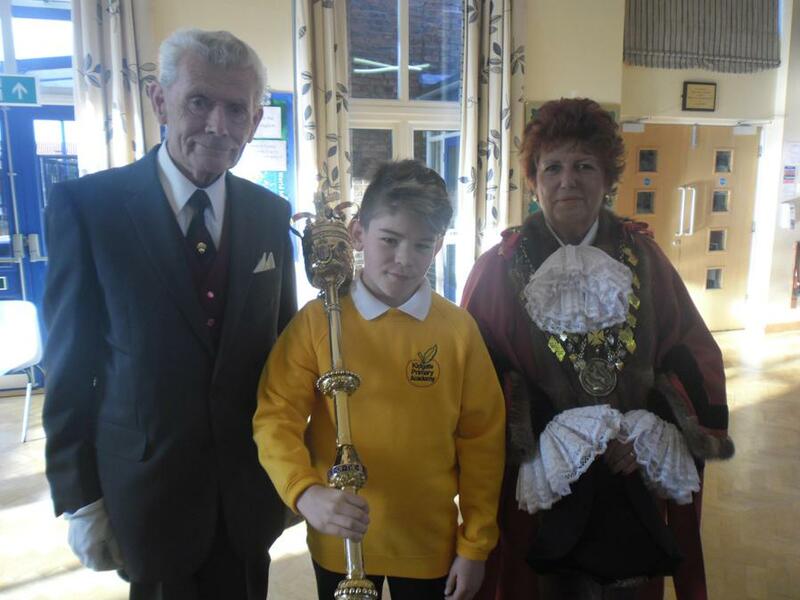 The Mayor kindly answered questions about her role and told the children about how she was elected. The new Academy Council Representatives were handed their golden jumpers ready to start their new roles.